It was crazy hot today, you guys. My friends and I played our 5th annual kickball game in Van Cortlandt Park and I thought I was going to melt. 😦 Luckily, I knew that Bronx Ale House was not too far and we headed there to recharge. I had no concept of time, so I didn’t realize it was still brunch time – much to my delight. 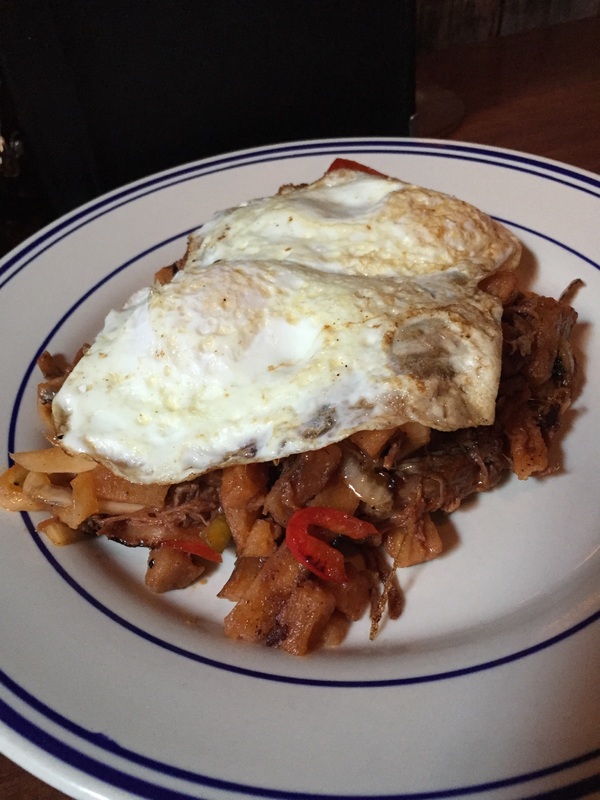 My friend and I shared the smoked brisket hash and the braised pork. The brisket came with eggs and was shredded with potatoes and vegetables. 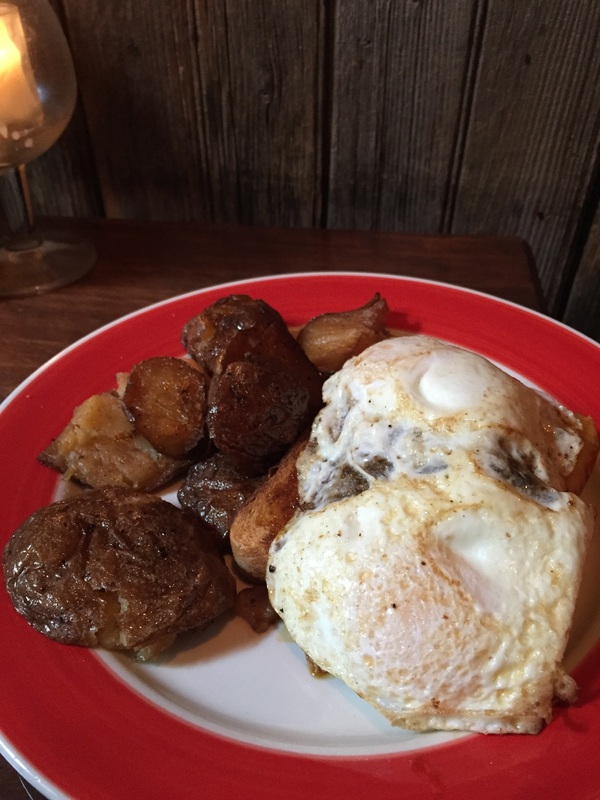 The braised pork also came with eggs, cheddar toast and potatoes.